When a French DJ and an American singer combined to produce one of the biggest crossover hits of 2009, the hands on the faders belonged to Veronica Ferraro. 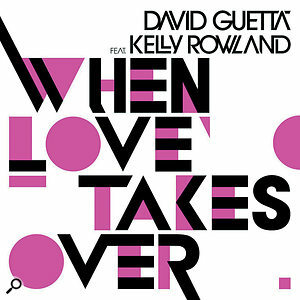 'When Love Takes Over' was one of the most successful hit singles of 2009. Its mixture of electro, house and trance proved ideal for club and mainstream audiences alike, as it topped the hit parades in 17 countries, including the UK. Featuring singer Kelly Rowland, formerly of Destiny's Child, 'When Love Takes Over' was more than anything a triumph for French DJ David Guetta, being the lead single from his fourth album, One Love. Unusually, the album boasts almost no credits for musicians, engineers, mixers or studios. One of very few exceptions is for Veronica Ferraro, who mixed 'When Love Takes Over'. Her name may not ring bells in the Anglo‑Saxon music world, but in France she's well respected as a mixer who likes dealing with independent and slightly left‑of‑centre artists and companies. The list of artists on her CV of some repute in France but completely unknown over here could fill the rest of this article, so to highlight just a couple: she mixed Sheryfa Luna's eponymously titled first album, which sold 400,000 copies in France and sparked two number one singles, and 'Cherchez Le Garçon', a French hit by singer Quentin Mosimann. Outside of France, Ferraro also worked with artists such as Wyclef Jean, Third World, Alannah Myles and Beth Hirsch. Veronica Ferraro's Super Sonic Scale studio is based around an unusual Amek DMS hybrid analogue/digital desk. 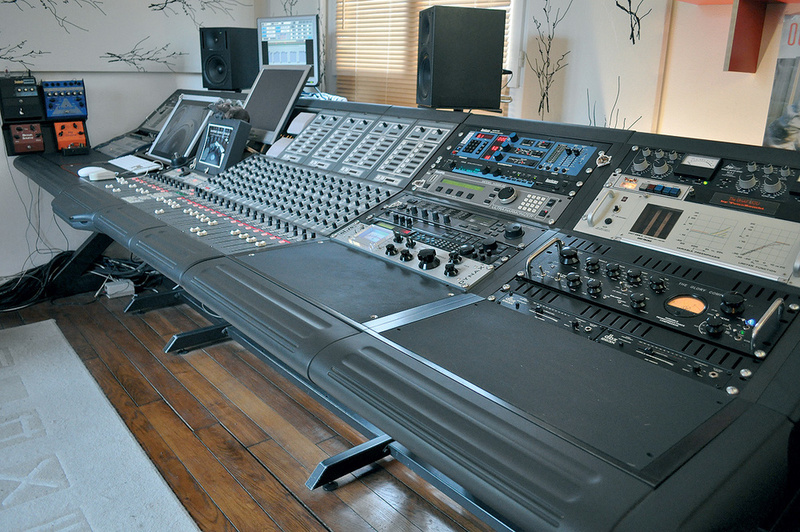 Veronica Ferraro mixed 'When Love Takes Over' at her Super Sonic Scale studio near Paris, in which pride of place goes to her unique 56‑channel Amek DMS desk, which contains Neve mic preamps, EQ, compression and gates. The presence of the desk is an outcome of her training in the late '80s at one of France's major studios, Studios Ferber. "I began working with hardware,” she comments, "so in that sense I'm still an old‑fashioned engineer. I like real buttons! I also like working with the computer, but I don't like mixing in the box. I started building my own room in 2001, and bought the Amek in 2003, around the time when I decided to focus on mixing exclusively. A friend called me to say that it was for sale. It came out of a broadcast studio, and it had all the Neve elements and it took six months to get it to work well, because nobody knew about this desk. Ferraro set up Super Sonic Scale in 2006 in the same building as her husband Bruno Gruel's Elektra Mastering facility. She now has three Amek DMS desks there, one in use in her mix room, one that's waiting to be used, perhaps in her next studio space, to which she's moving at the end of 2009, and one for spares. As can be expected from someone whose roots are in the analogue era, Ferraro's studio has its fair share of outboard gear, including unusual items such as a Groove Tubes Glory compressor, EMT‑Frantz 266X limiter, RCA and AL.SO Dynax limiters and a 'Tone Zombi' made by Gruel from the wrecks of an old NTP 179 limiter and a Dolby 361. 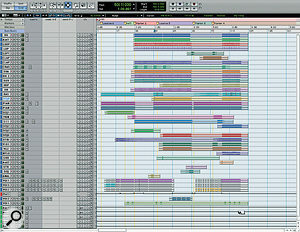 Ferraro: "I also have Pro Tools 7.4.2, I'm waiting until 2010 to upgrade to 8, because there are still some bugs in it. Until then I'm using the last version of 7. I use Pro Tools essentially as a tape machine, applying just a few plug‑ins and then laying the different tracks out via separate channels on my desk. 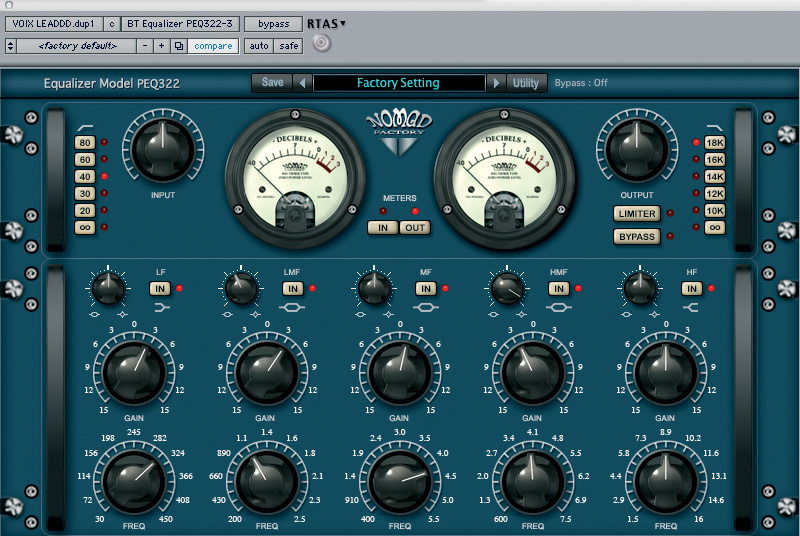 I tend to use plug‑ins purely to eliminate problems, like esses and too many low frequencies, add some compression to make a track sit better, and I then use outboard to actually change or improve the sound itself. In a way, once it sounds like a 'normal' record, then I go to my hardware stuff for the rest of the chain. My main monitors are Genelec 1030 monitors, with a 1092 subwoofer. I've had them for 10 years and I know them really well. My room is not fully acoustically treated, but because I know the room and I know my equipment, I know exactly what I'm doing. Plus I have my old, nice Philips hi‑fi, on which I finish my mixes. It's like working with the NS10s, they have a crap sound, but the balance is very precise, so I can check my mixes on them. I've also just bought Westlake BBS M12 monitors, which I'll have installed in my next studio.” The Pro Tools Session for 'When Love Takes Over'. 'When Love Takes Over' had been recorded by Riesterer in another DAW system, so on receiving the session, Ferraro imported it into Pro Tools and organised it as she prefers. She explains that 'When Love Takes Over' was fairly typical of the way she mixes. "I'll talk to the producer or engineer before receiving the track, and discuss what kind of EQ and effects they have added. I tend to prefer to receive the track without them, but if they have a sound that they're really happy with, of course I'll keep it. In some cases I'll ask them to send me the files with and without effects, and I can then see if I can do better. I also always ask for their rough mix, which is very important for me. It allows me to get a sense of the direction the musician and/or producer wants to take the track in. I like to speak with everybody who is involved in making the artistic decisions for a track, because I want to know what they are expecting from me. Do they just want to have an improved version of the rough mix, or do I have the space to try stuff and be completely free and creative? With regards to 'When Love Takes Over', Ferraro explains that the backing tracks needed little attention, and that her main focus was on improving the sound of Kelly Rowland's vocals. "Frédéric had the right sounds on the drums and the keyboards, so I did not change very much. I just did some standard things, with EQ and compression and things like that. After that my obsession was to get the vocals to sound as good as possible. 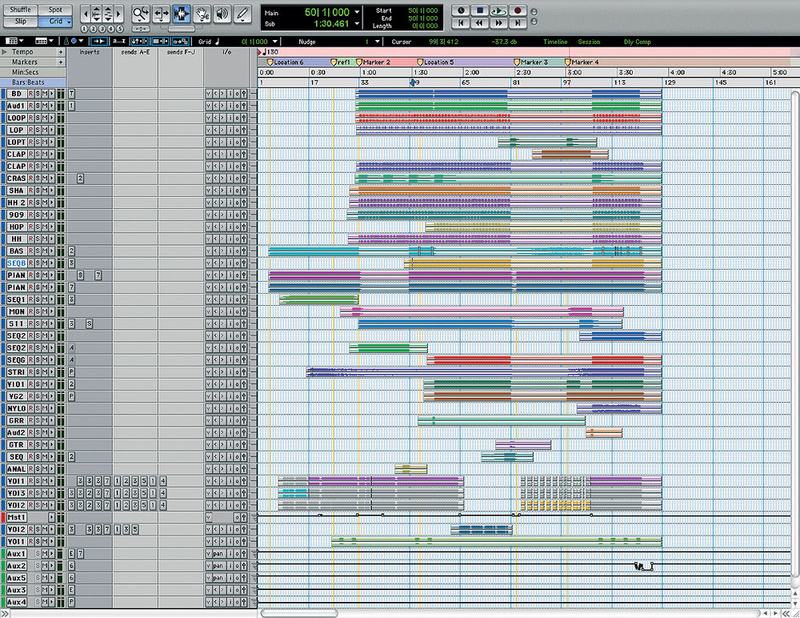 When I'm mixing a track, I want something to happen, something that takes the listener somewhere. You want the right things in the right place, but it's not a technical issue. It's actually an artistic issue to have everything in the right place — the mixing has to be magic. It was not difficult in this case, because I knew the song would be a hit, but I did my best to make the vocal sound magical, like an angel singing, so that the hit quality of the song was immediately obvious. I wanted to make sure that the voice takes you from the beginning to the end and doesn't lose you. 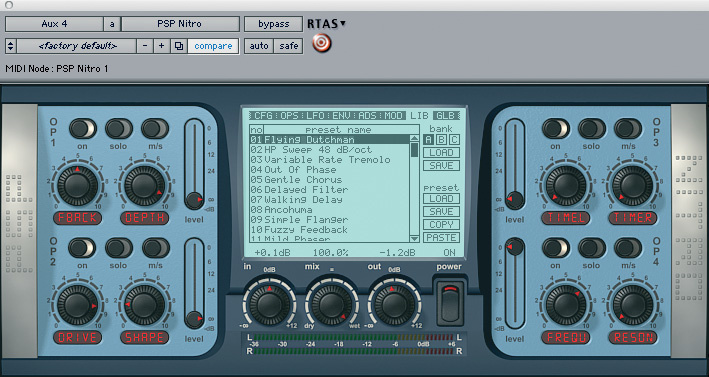 Drums: desk EQ and compression, Nomad Factory Sweeper & CH2s Movement was added to a number of parts, including the hi‑hats, with the autopan in Nomad Factory's CH2s. "Frédéric and David had programmed bass drums, shakers, claps, and four different hi‑hats, and I separated the tracks out on the desk, initially to try to get close to the rough mix and to not change the groove too much and make sure that the hi‑hats had a good level. 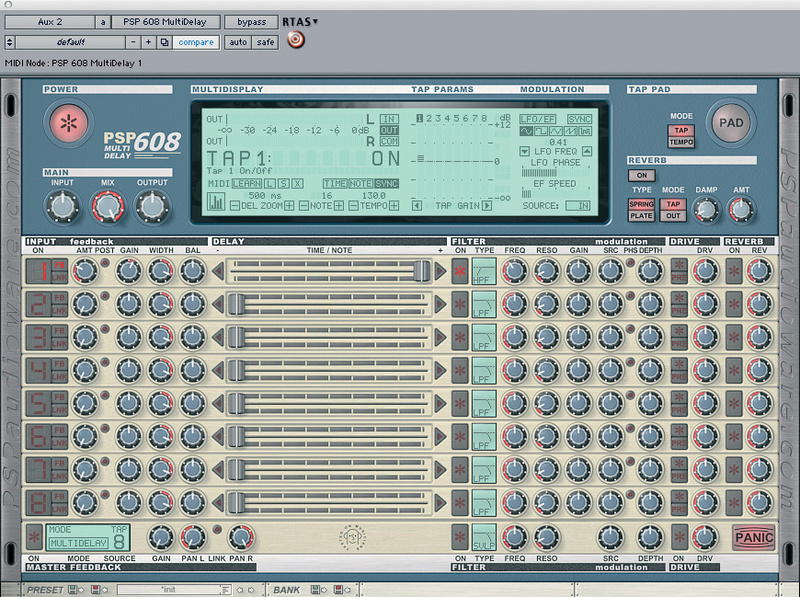 'BD' is the bass drum, of course, and 'Audio 1' [abbreviated to AUD1 in the screens] a bass drum sample that I added. I thought that the kick was missing something, and rather than EQ it, I added a little bit of my sample to make the BD track sound bigger. 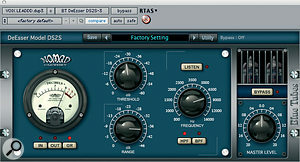 The '1' Digidesign EQ plug‑in on the sample is for reversing the phase. When you have two kicks playing the same part together, even when you put the attack in exactly the same place, the phase may still not be correct. The phase can make a very big difference in the low-frequency range, so you have to check it, and this time it needed reversing. The plug‑in on the BD track is just a trim to make sure left and right are in balance. Other than this, I EQ'ed both bass drum tracks on the desk, but didn't compress because Frédéric had already added compression. Keyboards: desk EQ and compression, Nomad Factory LM2S & PEQ322, Sonalksis SV315, Flux Stereo Tool, Bomb Factory BF76, Lexicon 200, Eventide H3000, IK Amplitube, Ohm Force Predatohm Sonalksis' SV315 compressor was used to level the synth bass. "'BAS' is the keyboard bass pad, which is played at the beginning of the song and a few more times later on. 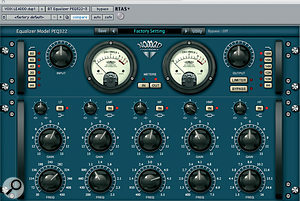 I used a Blue Tubes limiter plug-in on that, which has an EQ in it, so you can EQ before limiting. 'SEQB' is a bass sequence, on which I used the Sonalksis compressor, to squeeze it a little bit. That plug‑in has a very special sound. Both bass tracks went to the same output, so they had the same compression and EQ on the desk. 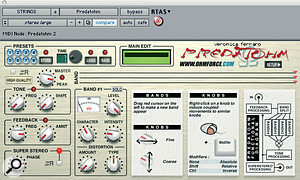 Below the two bass tracks are two keyboard piano tracks, one without and one (the lower one) with Frédéric's delay. At my request, he sent me both, and I used them both, which added a sense of air to the track. I added a French plug-in, Flux Stereo Tool, to the piano without delay, to make it sound a bit wider, and '7' is the Bomb Factory BF76 [compressor], which I used on both pianos, after which they went to the desk, on which I applied EQ and a reverb from my Lexicon 200. 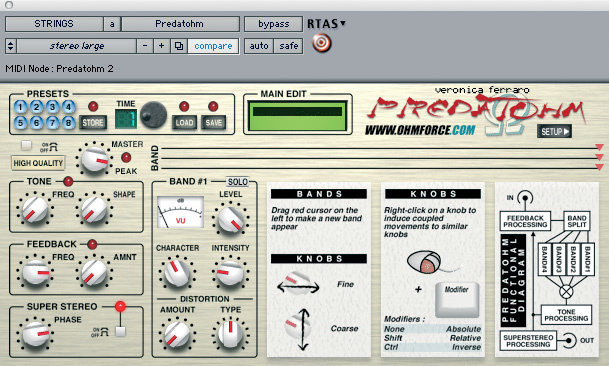 Other keyboard parts were juiced up using IK's Amplitube and Ohm Force's Predatohm. Vocals: Sonalksis SV315, Nomad Factory DS2S & PEQ322, Digirack De‑esser & Delay, Bomb Factory BF76, PSP 608 & Nitro, Groove Tubes Glory, EMT‑Frantz 266X, Lexicon 200, Eventide H3000 Extensive processing was applied to Kelly Rowland's lead vocal, including EQ and de‑essing from multiple instances of Blue Tubes' respective plug‑ins, and effects from PSP's 608 and Nitro. "I split Kelly's lead vocals onto three different tracks, 'VOL1', 'VOL3' and 'VOL2', because I'm using different EQ for each of them, and they're all sent to the 'Master1' [Mst1] track immediately below, which is there for the volume automation for these three lead vocal tracks. 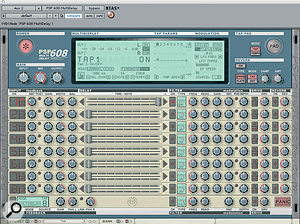 There are quite a few effects on these tracks: up to five plug‑in inserts and five aux send plug‑ins, plus outboard. 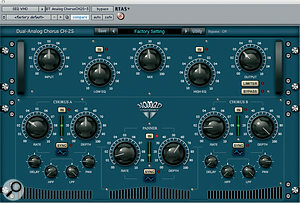 The plug‑in inserts on 'VOL1' are the Sonalksis compressor, going into the Blue Tubes EQ, which cuts the bass at 40Hz and the high end at 18k, then a Pro Tools de‑esser, and then the Bomb Factory Urei BF76. There's an additional Blue Tubes de‑esser on 'VOL2' and 'VOL3', because I had to de‑ess a lot. One is affecting the higher mid‑range, as a normal de‑esser, the other takes out a very high frequency. It's the same thing on the 'VOL2' track below the 'Master1' track, which is a bridge vocal track. 'VOL1' underneath that is the backing vocals, on which there are no plug‑in effects. "As I said before, I did quite a lot of work on the vocals, and so I created five aux tracks for effects like reverb and delay, which I never put on the insert. 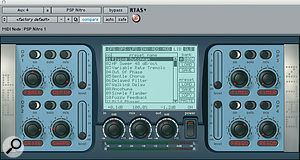 'AUX1' is a regular downbeat delay with an EQ to make it more middley; 'AUX2' is a PSP delay, which is interesting because it doesn't tail off and you have a filter at the end with which I cut the bass; 'AUX3' is a Digidesign delay with different delays in the left and right channel; 'AUX4' is another PSP plug‑in [Nitro], using a preset called 'Flying Dutchman' with some kind of weird chorus‑like effect; 'AUX5' is, again, the PSP delay with a different setting from 'AUX2'. I automated all the aux tracks to make sure that they only happen at certain times. Bruno Gruel adds: "I received the files from Veronica in 24‑bit/44.1kHz non‑interleaved Pro Tools format, and applied the setup that I normally use for this kind of music. I sent the digital file into a Lavry D‑A converter, which has a really neutral sound. 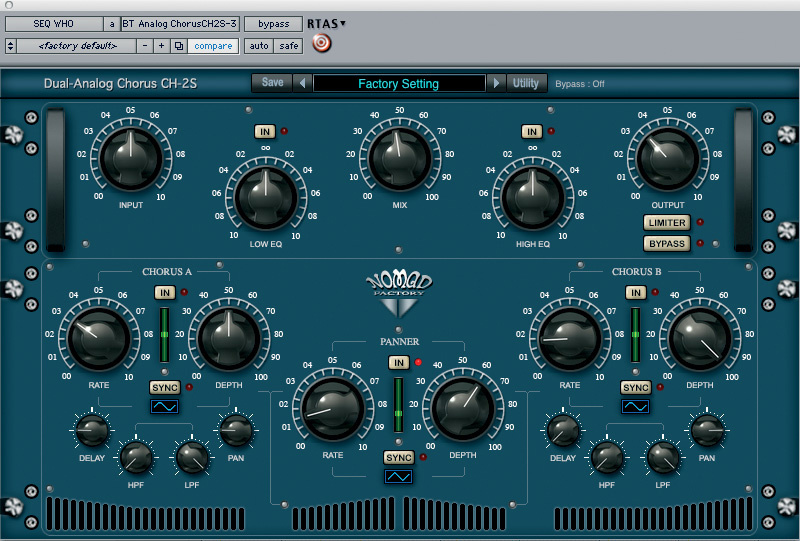 Then the signal was passed through a DW Fearn VT7 tube compressor to achieve a 'pre EQ' on the master. Its transformers do a remarkable job on the mid‑range, and it sounds very smooth, with plenty of bandwith. To knock the bass drum and low synths into shape, I've extensively used the Maselec MEA2 EQ around 60Hz and 80Hz with a tight Q factor. 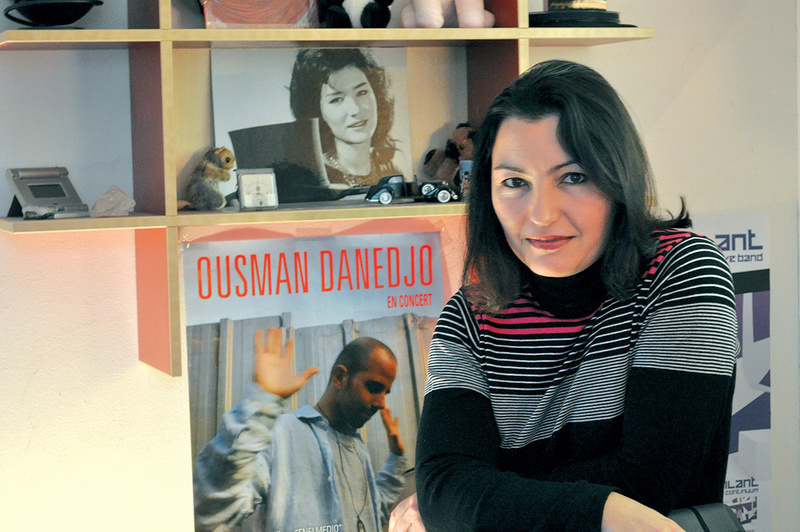 "I don't mix much typical French music,” says Veronica Ferraro, "and of course I spend a lot of time listening to American and British music. There's a slightly different school of mixing here in France, because in France people want to understand every word a French singer sings. The French language also takes more space in terms of frequencies, and it's less groovy than English, because we don't have the same accents. This all affects the way French‑language tracks are mixed. There's less freedom than in mixing English‑language tracks. Plus, here in France they're fonder of high end in the track.